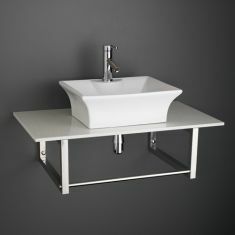 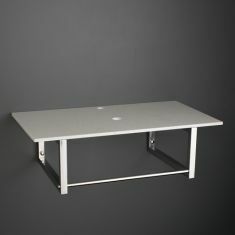 Here on this page is our selection of White shelves with Sinks and Basins displayed on them. 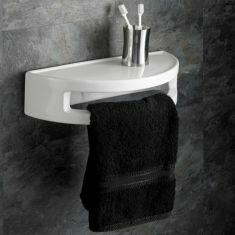 There are shelf sizes for all bathrooms, en-suites and cloakrooms. 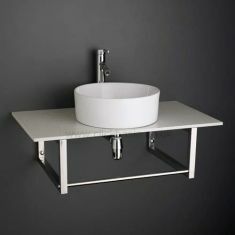 The smaller shelves are perfect where space is at a premium and larger sized shelves give display and storage capacity at the side of the basin. 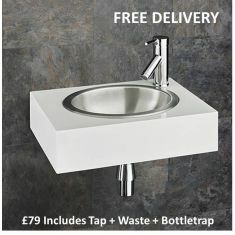 We offer a wide selection of basin choices in different shapes and sizes, round, rectangular and square to make your choice easier. 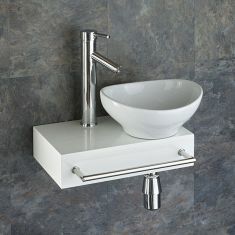 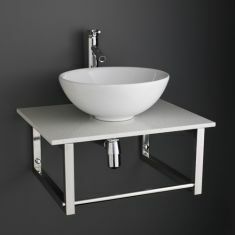 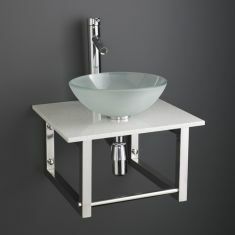 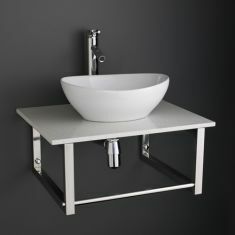 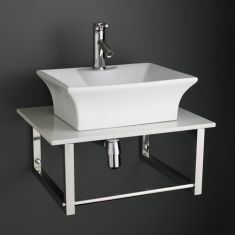 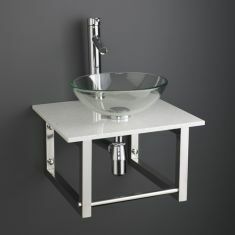 Different materials of Glass, Stone and Ceramic Washbasins can give a modern, contemporary or tradition finish. 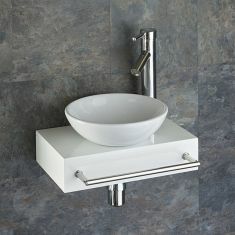 On certain shelf sets we can swap the basins and taps and should we not display your preferred combination, then please do not hesitate to contact us to see if we can help.